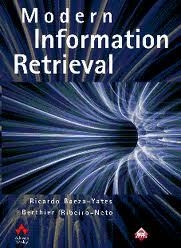 "Information retrieval is the task of searching a body of information for objects that statisfied an information need." This course is offered at the Faculty of Mathematics and Physics to graduate students interested in the area of information retrieval, web search, document classification, and other related areas. 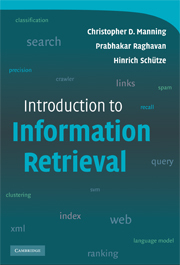 it is based on the book by Christopher D. Manning, Prabhakar Raghavan, Hinrich Schütze Introduction to Information Retrieval. 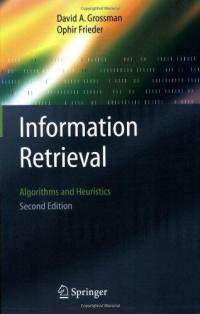 The course covers both the foundations of information retrieval and some more advanced topics. Language: The course is taught in English. All the materials are in English, the homework assignments and exam can be completed in English or Czech. Consultations upon request by email. Oct 15 The lecture room has changed to S11. Oct 08 The course will start on Oct 8 at 15:40 in S1. No formal prerequisities are required. Students should have a substantial programming experience and be familar with basic algorithms, data structures, and statistical/probabilistic concepts. To pass the course, students need to complete two homework assignments and a written test. See grading for more details. Note: The slides available on this page might get updated during the semestr. For each lecture, any updates will be published before the lecture starts. Note: Detailed specification of the assignments will be distributed via email. The deadlines are hard, no extensions are allowed. Design, develop and evaluate your own retrieval system based on vector space models. Design, develop and evaluate a state-of-the-art retrieval system using an off-the-shelf retrieval framework. There are two homework assignments during the semester with a fixed deadline announced on the webpage. The assignments are to be worked on independently and require a substantial amount of programming, experimentation, and reporting to complete. The students will present their solutions during the practicals in 10 minute presentations. The assignments will be awarded by 0-100 points each. 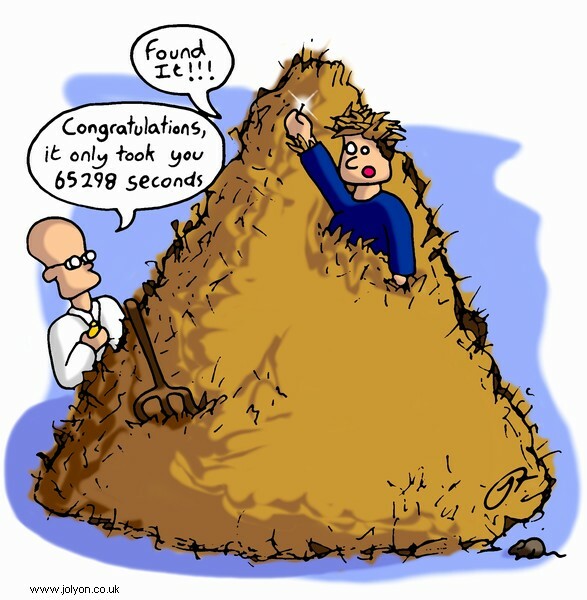 Late submissions received up to 2 weeks after the deadline will be penalized by 50% point reduction. Submissions received later than 2 weeks after the deadline will be awarded 0 points. The exam is in a form of a written test, scheduled at the end of semester. The test includes approximately 20 short-answer questions covered by the topics discussed during the lectures. The maximum duration of the test is 90 minutes. The test is graded by 0-100 points. Completion of both the homework assignments and exam is required to pass the course. The students need to earn at least 50 points for each assignment (before late submission penalization) and at least 50 points for the test. The points received for the assignments and the test will be available in SIS. No plagiarism will be tolerated. All cases of plagiarism will be reported to the Student Office. Christopher D. Manning, Prabhakar Raghavan, Hinrich Schütze Cambridge University Press, 2008, ISBN: 978-0521865715. David A. Grossman and Ophir Frieder, Springer, 2004, ISBN 978-1402030048. Ricardo Baeza-Yates and Berthier Ribeiro-Neto, Addison Wesley, 1999, ISBN: 978-0201398298.